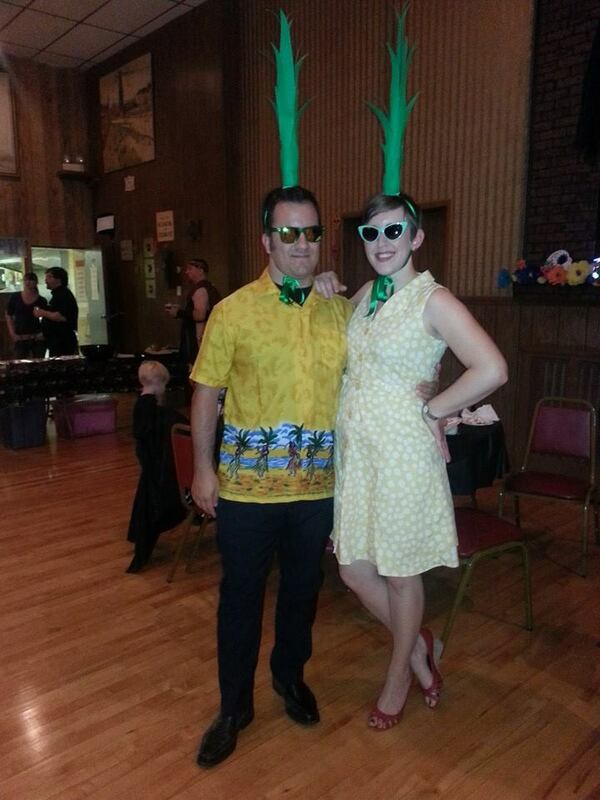 My friends Maya and Ian are expecting, and the baby shower was yesterday. That means I can now safely blog about this project, since they have been gifted away. As I am once again too impatient to deal with getting photos into this post (shakes fist at flickr manager plugin), go ahead and click here to see them. Since my knitting mojo has been on hiatus for the last several months, I knew that deciding to knit something for their baby would not be a wise choice. 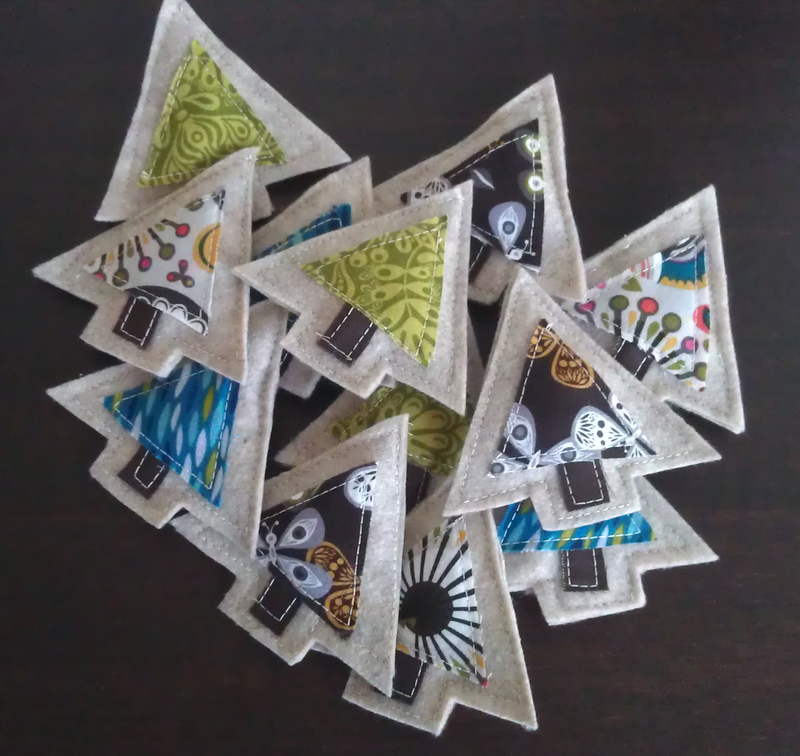 Instead I thought I would sew up some bibs and burp cloths, as I have heard that you can never have enough of them. The burp cloths were just from a tutorial I found online. There are tons and tons of them, and after looking around for quite a while I randomly settled on this one. I had originally been thinking I would just decorate some cloth diapers with fabric, since those would be quite absorbent, but then I got all caught up in reading reviews of them on Amazon and couldn’t figure out which ones were best. So, I went with this project. I picked out two fun prints and three colors of cotton flannel to back them, and I made a total of four burp cloths. 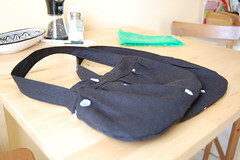 The bibs are from Bend-the-Rules Sewing, a fantastic book that I highly recommend. It is full of fun, cute projects for yourself, your house, and the little kids around you. 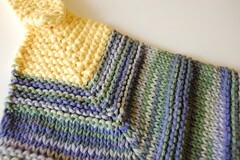 The bibs were my first project out of the book, and they came out well. I do recommend following the pattern exactly and cutting the fronts and backs of the bibs together. I didn’t — I just cut all my tops and then all my bottoms — and it was a little difficult to match things up. The bibs were a bit challenging because of the curves, but I persevered and I think they will hold up. The only modification I made was to use fusible velcro instead of snaps. I made a total of six. Yesterday, while I was trapped inside my apartment before the local geek squad moved in to save the day (well, the evening), I made the cutest little box bag you have ever seen from this tutorial. The fabric is from the Cherry Tart fat quarter pack at Spool Sewing. I forgot to jot down the fabric name & maker from the selvage (I think this one had it, some others from the pack did not), I will update that when I can. (ETA 8/2: Westminster Fabrics Strawberry Sunshine.) 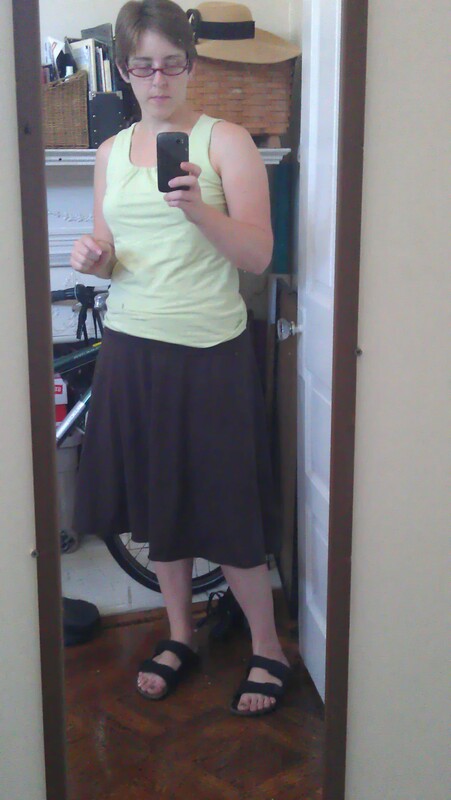 The lining is a plain beige shirting that I had leftover from the lining of the teal skirt. The bag is small — the final dimensions are 5″ x 3″ x 2″; as my friend Julie pointed out, it is just the right size to throw in your purse or tote bag to corral whatever needs to be corralled. It’s also a great size to be a small cosmetics case or even something for dry snacks. Right now I am using it to take my makeup and travel deodorant to and from work. A little over a month ago, I finally bought a sewing machine (a refurbished Janome). This is something I’d been thinking about off and on for several years, but given the space constraints in my Davis Square apartment, not to mention those related to the budgetary constraints of a grad student, I had kept it on the back burner. Finally this spring I jumped in, and I’ve really enjoyed having this new crafty outlet. I still haven’t managed to get my hands on a copy of Mason-Dixon Knitting Outside the Lines (my Jan. 8 ILL request through my local public library has yet to be fulfilled and is actually going to be automatically cancelled on April 8 — hopefully if I call them they can extend it). I was especially interested because I wanted to try knitting the Mitered Hanging Towel, which seemed just as easy, interesting, and addictive as the Ballband Dishcloth that their first book unleashed upon the world*. Lucky for me, Canadian Living featured the book and included the pattern on their website.